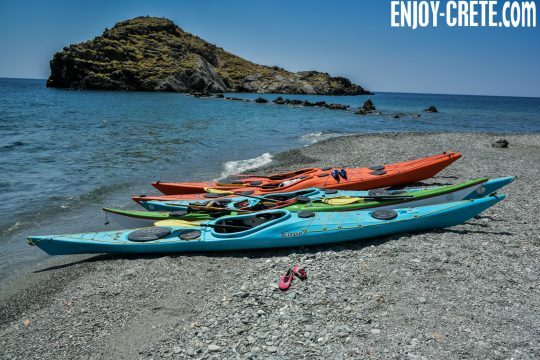 An excellent trip that gives you the chance to paddle in one of the most amazing coastlines of Crete. Part of the trip includes an open crossing to Paksimadia islands (14km). Overnight in tents. If the group prefer to overnight in small apartments we can alter the plan but that means that we wont do the open crossing to Paksimadia as there isn’t any accommodation nor any buildings on them. Cost for accommodation is about 30-50€ for a room with 2 beds. The whole trip is about 80-90km. This equates to about 25-30km/day in 3 days. You need to have previous experience in sea kayaks and especially to be able to track the kayak in a straight line and been comfortable with sea state 3 (ideally 4). 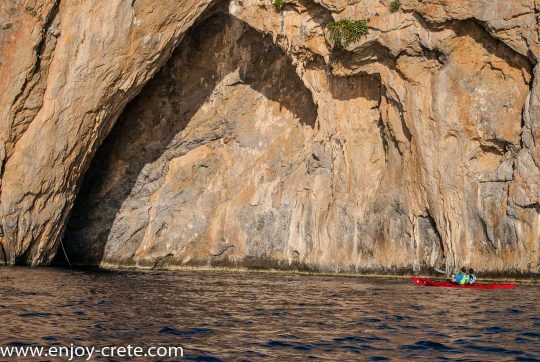 During the trip you will have the chance to improve your skills and practice rescues in warm water. Top quality boats from Nigel Dennis, Valley, Northshore and P&H are available. 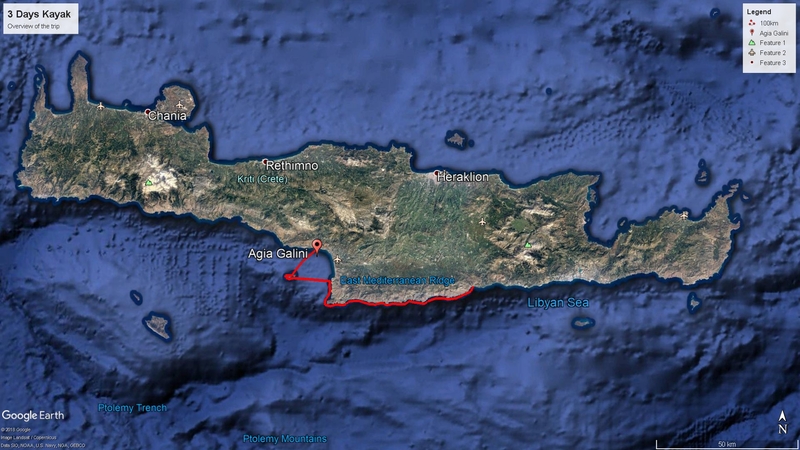 Meals in seaside towns, or beach side taverna's, are possible during the whole trip apart from the day that we will do the open crossing to the islands. 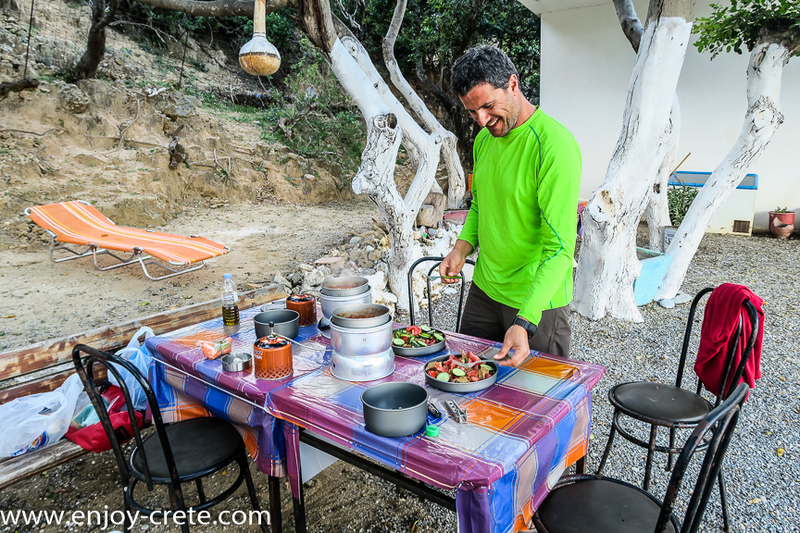 Usually we prepare our own breakfast & dinner and have lunch in a taverna. During off season (late October to late April) we will need carry supplies for the whole trip and wont be possible to eat in a taverna as all are closed. We will meet near the city of Heraklion between 8-9 am. You should arrive in Heraklion the day before. 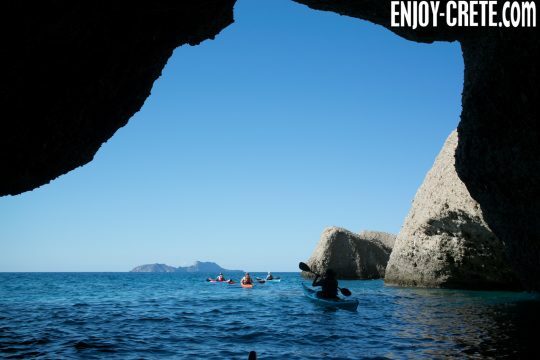 Transfer from or near Heraklion is provided for free. 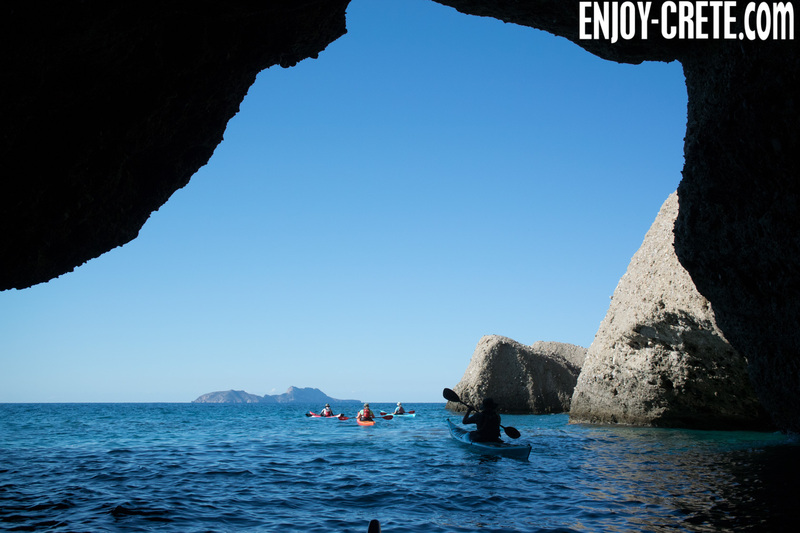 On the last day of the trip we will return back to Heraklion by our car and will be glad to drop you in the airport if your flight is on same date. Your flight needs to be late enough as we need about 2 hours to get there from the place that will finish our sea kayak trip. May, June and September, October are usually the calmest months. Winds up to force 4 or more are common on some parts of the trip.